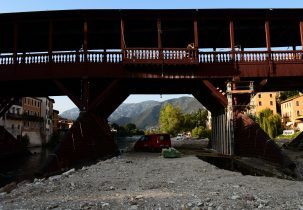 The bridge “Ponte Vecchio” in Bassano del Grappa, made entirely of wood and built on Palladio’s project, is the most characteristic monument of the city. 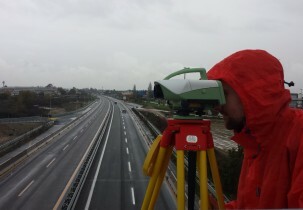 The survey campaign, carried out on a bridge support pile, consisted of resistographic analysis, wooden species identification and surveys with videoscope. 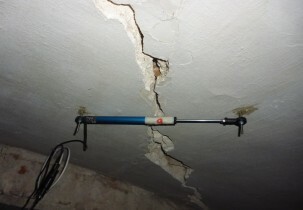 Tests with covermeter, coring on concrete, tensile tests of steel rebar, rebound hammer, ultrasonic probes and SonReb method were carried out in the former Court in Sanremo for the determination of the main properties of the materials and construction techniques. 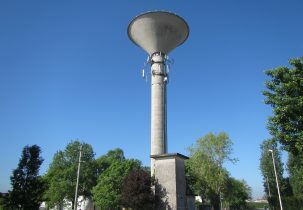 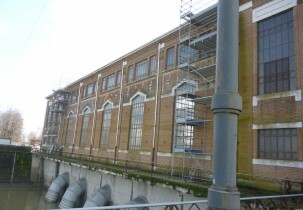 Tests with rebound hammer, covermeter, pull-out tests and carbonation and chlorides analysis were carried out in the piezometric tower of Vedelago (Treviso). 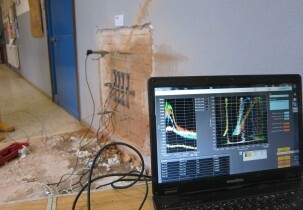 The stratigraphy of the ground with geotechnical investigations was also investigated. 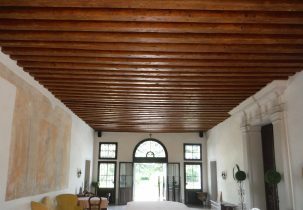 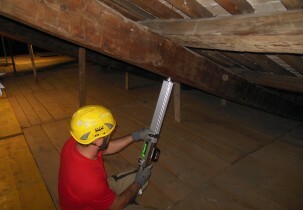 The investigation campaign carried out at “Villa Perocco di Meduna” in Vascon, near Treviso, consisted of load tests aimed at assessing the deformation behavior of the timber floor when subjected to the standard loads expected for its use; moreover, some semi-destructive tests were performed with resistograph. 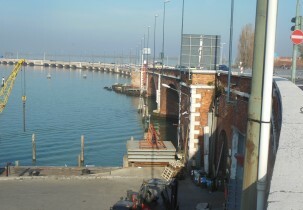 Some load tests by optical measurement with precision level and displacement transducers were carried out for testing of bridge “Ponte delle Bilance” in Caorle (VE). 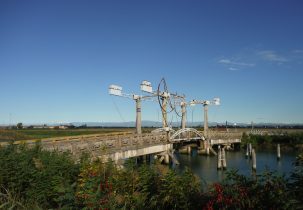 Pontecorvo is an ancient roman bridge in Padova. 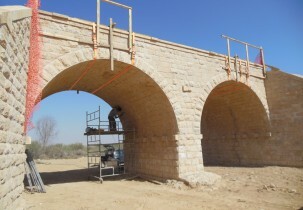 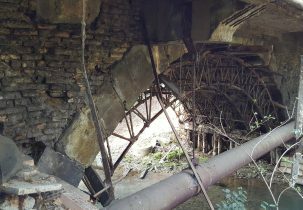 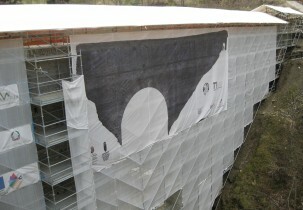 The bridge is highly degraded so it needs a restoration that must be based on tests on structure. 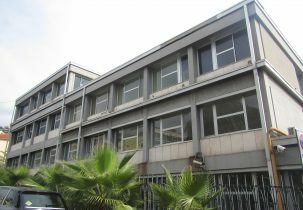 Flat jacks tests, investigations with videoscope, coring of c.a and masonry, dynamic identification of the structure were carried out. 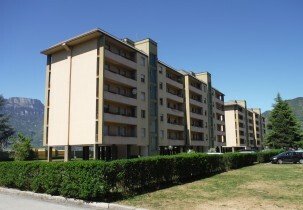 In building “Ex Pretura” in Piove di Sacco (PD) load tests, flat jacks tests, investigations with videoscope, tests with covermeter, coring of c.a, dynamic identification of the structure in the complex were carried out. 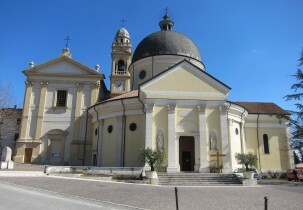 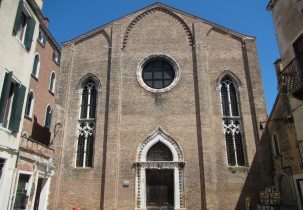 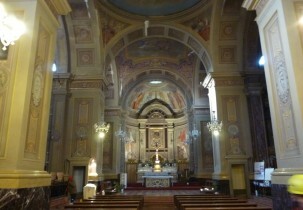 The church of “Santa Maria dei Servi” is a religious building of fourteenth-century in via Roma in Padua. 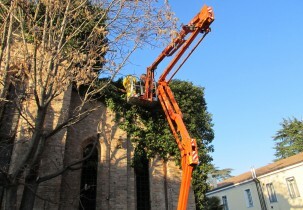 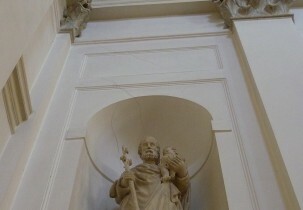 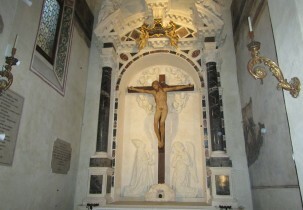 In relation to the demands of conservation of the wooden crucifix recently attributed to Donatello, a microclimate monitoring system was installed. 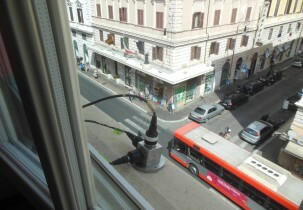 This campaign consisted of the evaluation of the effects of vibrations from traffic and urban structures in the “Montemartini Palace” hotel, located in Rome near the “Termini” train station, through the use of high sensitivity seismic accelerometers. 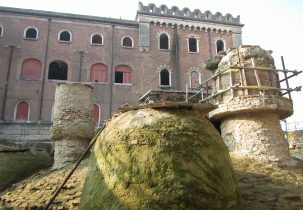 In an industrial warehouse in Anzola dell’Emilia (BO), a campaign of tests consisted of coring and compression of concrete, core drilling in masonry walls, test with covermeter and withdrawal of steel samples for the tensile tests in laboratory, was carried out. 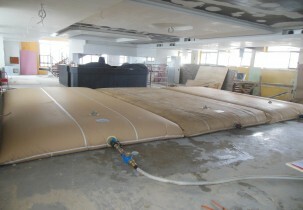 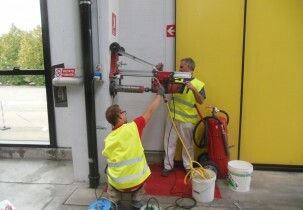 In a private building in Corsico (MI), two load tests on slabs, with 3 inflatables for each test for the achievement of a maximum load of 4kN/m² on a surface area of 54 square meters, were carried out. 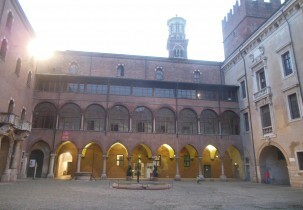 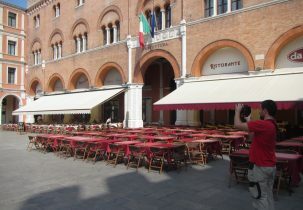 In the headquarters of the Penitentiary Police, in the square “Piazza Castello” in Padua, a campaign of tests consisted of double flat jacks, chemical-physical analysis of mortars, tests with covermeter, pull-out, resistograph and thermography was carried out. 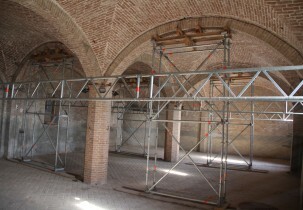 Double flat jack tests and sonic tests, in order to characterize the different masonry types present in the complex, were made in “Grancia di Cuna”, a medieval fortified farm in province of Siena (Modena). 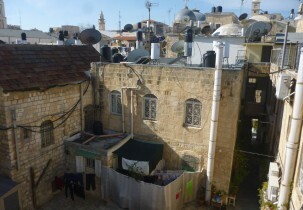 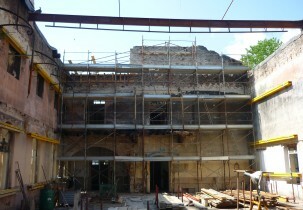 In particular, we investigated rammed earthen walls and solid brick masonry with earthen mortar. 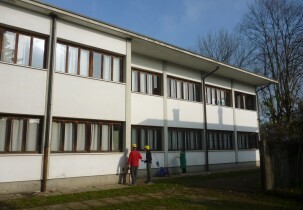 Flat jack tests, surveys by videoscope on the floors and walls, testing and analysis of mortar samples and tests by covermeter were performed for the evaluation of mechanical properties of structural materials aimed at the seismic verification of the middle school “Ungaretti” in Spinea (VE). 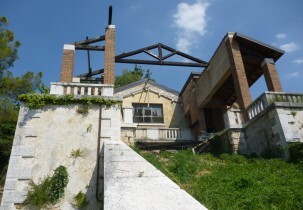 The structure of “Villa del Bene”, in the hamlet of Volargne, in Dolcè (VR) is divided into different parts of buildings, began in the fifteenth century and amended several times. 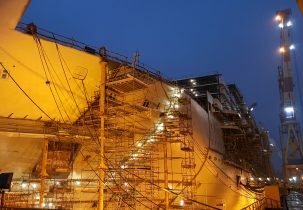 Surveys consisted of flat jack tests, sonic tomographic tests, investigations by videoscope and dynamic studies for the determination of the shot of the chains. 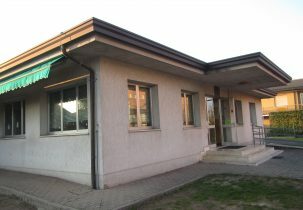 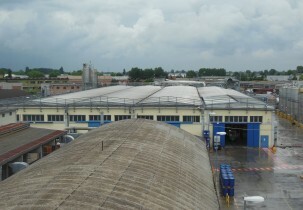 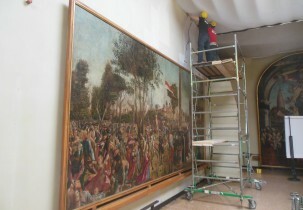 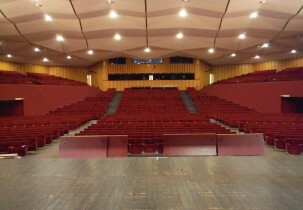 The service center “Beato Pellegrino” in Padua is an institution for the elderly. 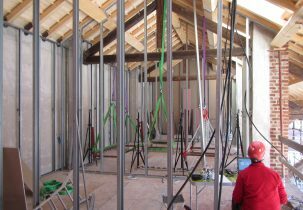 In the structure thermographic investigations, coring tests, tests using hammer, covermeter and ultrasonic probes, SonReb elaborations, load tests on floors and extractions of steel bars for the determination of the tensile strength in the laboratory were performed. 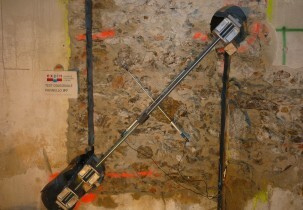 The bridges “Ponte Furo”, whose construction seems to date back to the Middle Ages and “Ponte delle Barche”, Romanesque, both in the historic center in Vicenza, were subjected to flat jack tests, coring tests on masonry, sonic and sonic tomography tests for the purposes of structural verification. 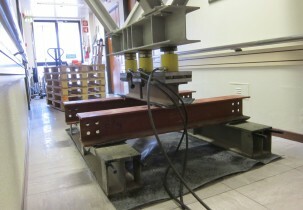 A number of core samples, surveys with covermeter and rebound hammer, pull-out tests, to evaluate the consistency of the concrete elements, as well as withdrawals of steel bars to determine the tensile strength in laboratory, were carried out in “Dow Chemical” in Correggio (RE) for the verification and seismic improvement of establishments. 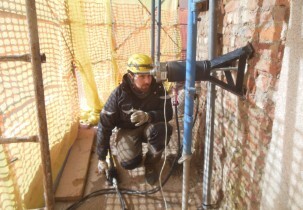 Investigations, carried out in “Ex-Magazzini Generali M1, M15, M16, M17” in Verona, led to the execution of essays on structures and excavations in foundation, single and double flat jack tests, surveys with videoscope and covermeter, horizontal drilling on c.a. 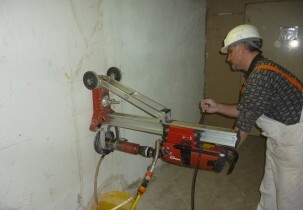 and masonry, sonic tests and diagonal tests before and after consolidation by injection of lime. 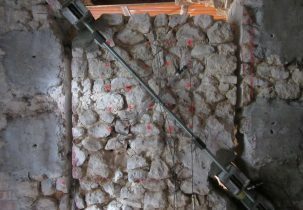 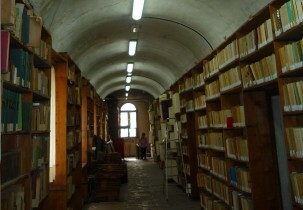 In the Hospital of Dolo (VE), tests of destructive nature (cores with the collection of cylindrical specimens of concrete and removal of segments of steel bars), integrated with other non-destructive tests (covermeter) were made, for the evaluation of the mechanical properties of structural materials, aimed at seismic verification of a portion of the structural complex. 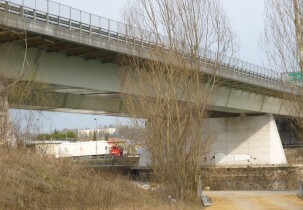 For the presence of damage and cracks on the structures of the A4 steel motorway bridge in “Peschiera del Garda” (VR), a structural monitoring system for finding dynamics deformations using a suitable number of strain gauges, placed both inside of the body and outside, in both directions, was installed. 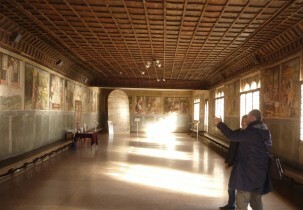 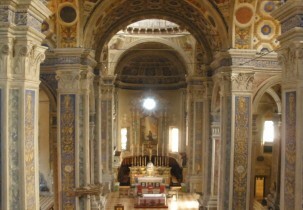 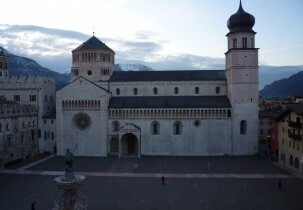 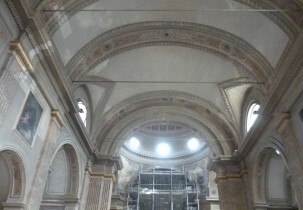 In the church of “Santa Margherita” in Treviso, assays on the walls and roof structures (wooden elements, vaults, etc…), single and double flat jack tests, coring tests with inspection by videoscope and excavation in foundation were carried out. 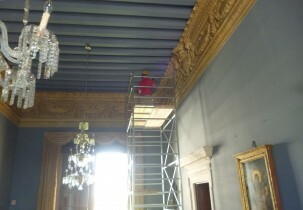 In addition an environmental monitoring system was installed for the control of temperature and relative humidity. 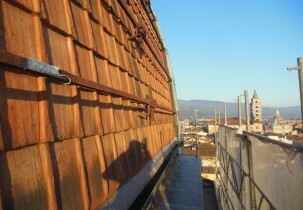 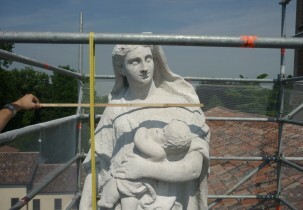 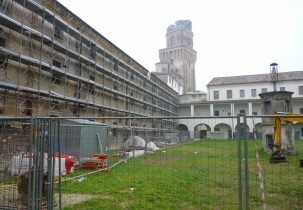 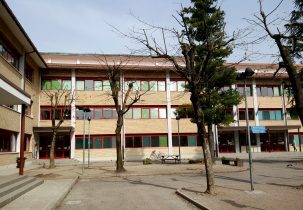 Flat jack tests, surveys by videoscope, coring tests on masonry and on concrete beams, sampling and analysis of mortars were carried out for the evaluation of mechanical properties of structural materials for the restructuring and consolidation of the nursery “Ex Asilo Rossi” in Schio (VI). 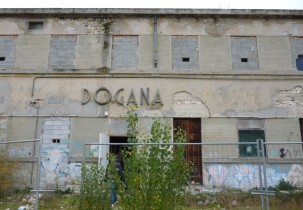 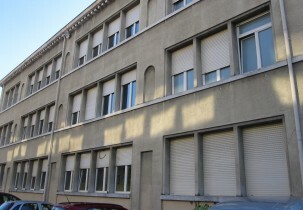 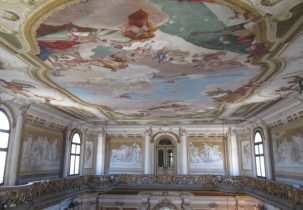 The former Hospital “San Paolo”, dating back to about 1860, in the historic center of Savona and abandoned for several years, was the subject of a series of diagonal tests to achieve a LC3 level of knowledge in accordance with the Technical Standards for Construction, waiting for the intervention of functional conversion and structural consolidation. 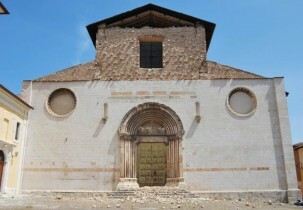 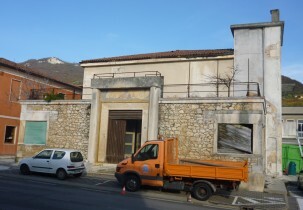 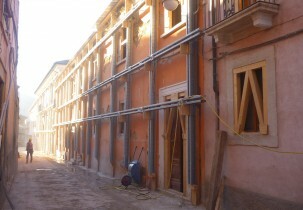 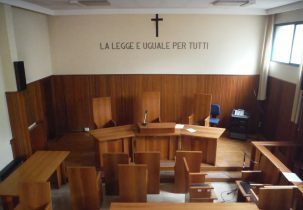 In the aggregate of buildings of “Piazza della Prefettura” in L’Aquila, where the damage after the earthquake were large, a series of experimental investigations preparatory to the structural consolidation of buildings were carried out. 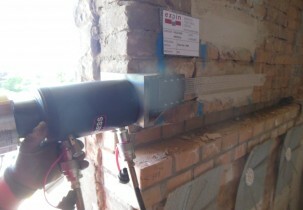 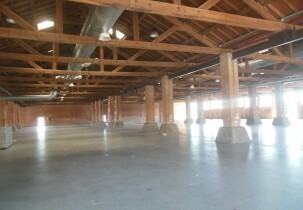 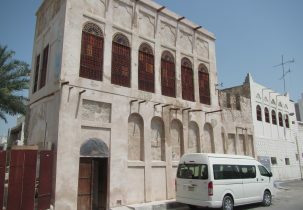 A homogeneous campaign of flat jack tests and sonic tests were performed to characterize the masonry.